Eleague couldn’t wait to get their hands on Mortal Kombat 11. They’re holding an invitational tournament with the recently released Beta of the game. The TrueGaming Invitational is holding a Tekken 7 tournament with arguably the world’s best players. Will the Pakistani Titan, Arslan Ash, once again conquer the Korean Gods? For your Smash Bros fix, Battle of BC 3 is recommended. Melee will also be featured and the future Smash God, Zain will be in attendence. He’s been steamrolling through the competition lately, taking the win at both The Gang Steals The Script, and Full Bloom 5. 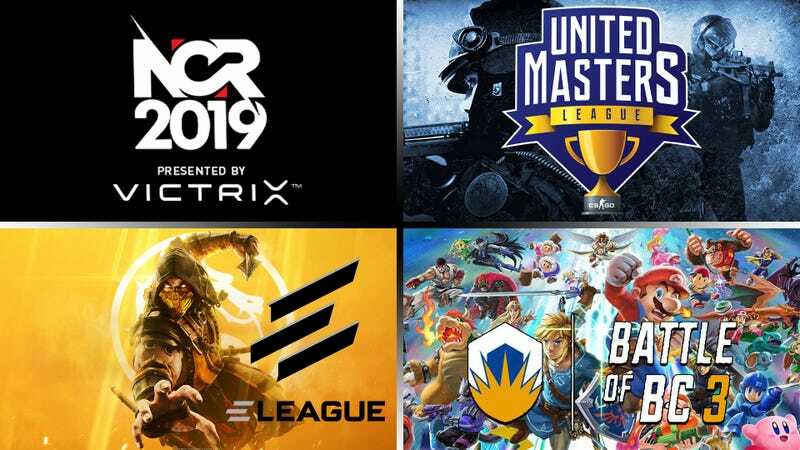 And of course, we have NorCal Regionals 2019, packing plenty of FGC action all by itself. They’re even busting out the Ultra Street Fighter IV and II Turbo. All in all, quite a weekend, ladies and gentlemen. Enjoy!